In the Chinese Five Element tradition, spring is the time the wood element rises and we should begin to cleanse the liver and gall bladder. There are many wondeful oils that help us to detoxify this most important organ, the best being chamomile, juniper, lemon, helichrysum and this month’s topic, sweet fennel oil. Sweet Fennel essential oil is steam distilled from the foeniculum vulgare dulce plant and it is the ripened seeds that are crushed and processed. The smell is similar to aniseed or licorice and is a delightful aroma to burn in an aromalamp when your spirits are low and need uplifting. Because of its antibacterial, antiseptic and antispasmodic properties, fennel aids in cleansing and detoxing the liver. It enables the waste products in the body to be collected and eliminated. Cellulite, which is toxic matter that collects under the skin in fatty deposits can be greatly reduced with fennel massages or a little fennel in the bath. 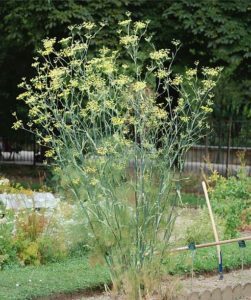 But because it is a mild diuretc, fennel should not be overused or the kidneys become taxed and weakened. Being a diurtetic, taken in tea form, fennel can help with weight reduction and water retention. It is said to dispel hunger and if you have eaten too much, it can soothe crampy bloated stomach pains. It works well with flatulence, nausea, indigestion and vomiting because of its carmitive and digestive properties. Fennel has been used in the treatment and rehabilitation of alcoholics as it counterbalances the alcohol poisoning by supporting and cleaning the liver. Women not only love it because it helps with obesity and weight loss, but it is also a wonderful and powerful support of the reproductive system. The plant’s hormone mimics the hormone estrogen and encourages estrogen production; therefore alleviating many premenstrual problems such as water retention, cramping, mood swings and irregular periods. It is great for menopause as well, as it controls wildly swinging hormone levels and reducing hot flashes, irritability and ‘the spreading hips syndrome’. Fennel is also widely used in gargles, mouthwashes and toothpastes because of its antiseptic qualities. It has become a popular substitute for mint in toothpastes, especially in homeopathic formulas. 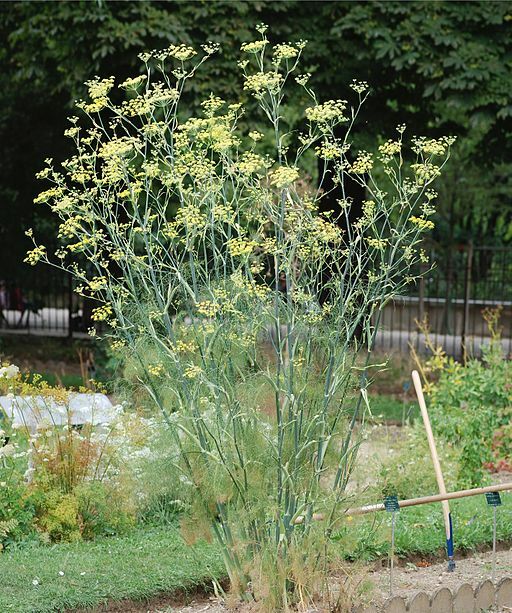 Fennel should not be used in massage oils with children or people prone to epileptic seizures.